Congratulations on your acceptance to Emory Law. Our job is to feed your intellect and challenge you to think. We are pleased you have decided to undertake this journey at Emory, a welcoming community that offers an engaging, supportive environment. Add jmacademicadvising@emory.edu and jmacademicadvising@law.emory.edu to your Emory email contacts. Check your "Junk Email" folder regularly for JM program emails. If you do find an email in your Junk Email folder, please take a moment to mark it as "not junk" (right-click and choose "not junk"). This will train the email system to send those messages to your inbox. Fill out an online waiver and get another insurance plan that meets Emory's requirements. The EmoryCard is the official ID Card of Emory University. It permits access to facilities and events and can be used to purchase goods and services at the university and at a wide range of merchants throughout the community. The image you upload must be on a white or solid neutral background. More information regarding your EmoryCard can be found here » Photos must be uploaded and approved by of January 1st. Cards will be available for pickup during Orientation. All incoming Emory University students are required to complete the Sexual Assault Prevention for Graduate Students (Formerly Known as Haven Plus). Sexual Assault Prevention for Graduate Students is a relatively short program: Part 1 takes approximately 45 minutes to complete, and Part 2 (a follow up survey sent 6 weeks after Part 1 is finished) takes approximately 15 minutes to complete. All online JM students are required to have high-speed Internet access and a computer running a modern web browser. An iPad or similar device does not provide the needed functionality for the online JM program. We recommend that you purchase a new computer for your JM studies. Note that you may periodically need to install plug-ins or specialized browsers, so make sure you have administrator permission to download software on your computer. As an Emory student, you will have access to Office 365. This will give you access to download and install Microsoft Word, Excel, PowerPoint, and related products. You will also have access to Microsoft Outlook Office 365 email. Finally, the University provides McAfee anti-virus software to students. 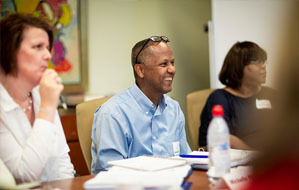 Emory University School of Law provides all persons an equal opportunity to participate in and benefit from programs and services afforded to others. Sei Yoshioka-Cefalo is a Licensed Professional Counselor at the School of Law and is the primary liaison to Emory University Access, Disability Services, and Resources (ADSR). He can assist qualified students with obtaining a variety of services and ensures that all matters of equal access, reasonable accommodation, and compliance are properly addressed. If you have questions or concerns pertaining to accommodations that you may need while you are a student at the School of Law, please contact Sei directly by sending an e-mail to: sei.yoshioka@emory.edu. When you contact Sei, please provide your full name, Emory ID number, and the program you will be enrolled. If you are a transfer student, please indicate accordingly. Students are expected to attend classes regularly and prepare for classes conscientiously. Each professor may impose sanctions for poor attendance. JM and LLM students are expected to maintain at least a B (3.0) average. If a student’s cumulative GPA should fall to a 2.50 or less at any time, he/she will automatically be placed on academic probation, effective immediately. * Students on academic probation must petition the Academic Standing committee for permission to enroll in new classes, and may not do so until their petition is granted. 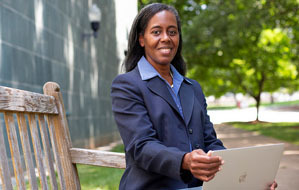 Further, while on academic probation, JM and LLM students must regularly meet with the Assistant Dean for Student Engagement or the Assistant Dean for Graduate Programs, respectively, to discuss the status of their classes, their proposed course selections, and their progress toward a return to good standing. *Students who began the JM program prior to Fall 2014 will be placed on academic probation if their cumulative GPA falls to a 2.25 or less. Any grades earned by SJD students will be evaluated by the student’s faculty supervisor/dissertation committee on an ongoing basis. The SJD student’s faculty supervisor/dissertation committee will determine whether the student’s performance meets the necessary standard for continuation in the SJD program. Grade point average (GPA) will be determined for graduate students, although class rank is not calculated. Because graduate students are graded separately from J.D. students, they do not impact the J.D. grading curve or class rank. Emory University School of Law uses a letter grading system, with grades ranging from A+ to F. In the JM program, a student must earn a grade of at least D- to receive credit for a course. A student must repeat a required course in which that student has received a grade below D-. One LLM Leadership Award and one JM Leadership Award will be presented each year. These leadership awards will be given to an LLM and JM student who engages with the Law School community, exhibits leadership and concern for the well-being of students, and has done well academically. Students in good standing may elect to withdraw between semesters after notifying the Graduate Programs Office and the Emory Law Registrar. Upon deciding to return to the law school, students must notify the Graduate Programs Office and the Emory Law School Registrar. Students in the JM program must complete all degree requirements within four years of the date of first matriculation into the program. Readmission of students following withdrawal for medical reasons requires medical clearance by designated university health officials. If, in the opinion of the Dean ('Dean' as used in this statement always refers to the Dean or Dean's designate), a student demonstrates evidence of an emotional disorder and has engaged in, or threatened to engage in, conduct that poses a threat to the mental, emotional, or physical well-being of self or others, or to property, and/or impedes the lawful activity of others, the student may be referred to the University Student Health Service for psychiatric evaluation. Refusal to obtain a psychiatric evaluation when properly requested to do so, or determination by the University Health Service that withdrawal would be in the best interest of the student and the university, shall be cause for involuntary withdrawal of the student by the Dean. Withdrawal in such cases shall normally incur no academic penalty for the term in which the student is enrolled, and tuition refund, if any, shall be based on the schedule established for voluntary withdrawal. The Dean shall inform the student in writing of the effective date of the involuntary withdrawal, and shall explain, in writing, the procedure for application for readmission to Emory University. Application for readmission after withdrawal for psychiatric reasons will require evaluation by the university psychiatrist. Persons seeking readmission may choose to submit a written report from their own psychiatrists at their own expense. In no case shall readmission be granted after psychiatric withdrawal without the approval of the University Student Health Service. After the period designated in the Academic Calendar for approved course changes, a graduate student may withdraw from a course only with the permission of the instructor and approval of the Graduate Programs Office or the Dean's designate. Such permission will be granted only for cause, and the rules governing requirements for full-time residency credit will be applied. When withdrawal from a course is approved, a grade of W is recorded for the course or courses in which the student is registered. Failure to obtain permission shall result in a grade of WF in the course. Students who withdraw from or fail to return to school during the regular academic year must notify the Graduate Programs Office in advance, to be eligible to return. To withdraw from school, a student must receive permission from the Graduate Programs Office. When withdrawal is approved, a grade of W is recorded in all courses for which the student is registered. Failure to obtain such permission will result in a grade of WF in all courses for which the student registered. Prior to attending the residency, students must complete the online Orientation module. 3:30 – 7:00 p.m. Work time. Assignment due at 7:00 p.m.
2:15 – 7:00 p.m. Work time. Assignment due at 7:00 p.m. Prior to attending the residency, students must have completed the Dispute Resolution class.